The suggested stitch height for Amsterdam is 6" - 12". 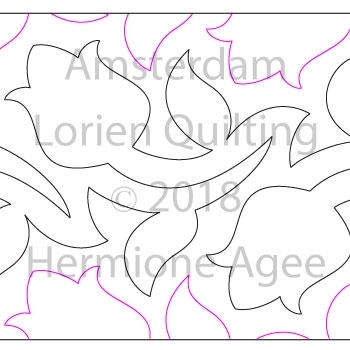 Amsterdam was designed by Lorien Quilting. I loved using this pattern. It is not too dense and very easy to follow. So glad I found it.